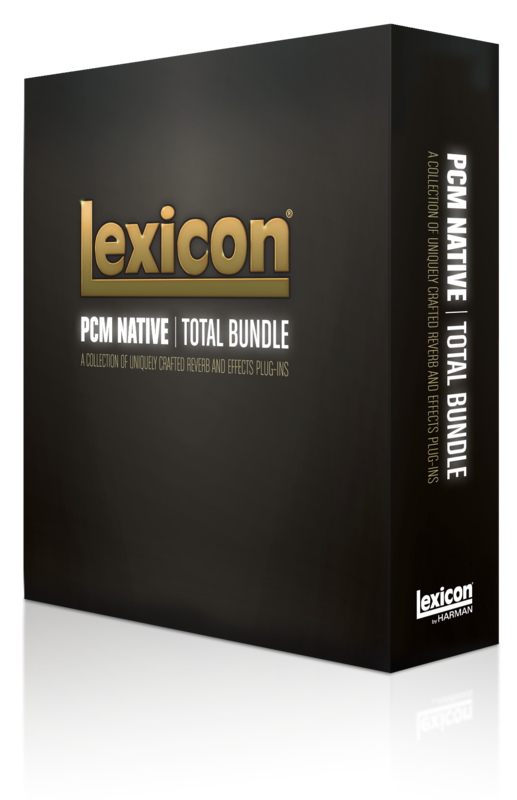 A powerhouse bundle of heritage and innovation, the PCM Total Bundle is the ultimate studio plug-in package for creating professional, inspirational mixes within popular DAWs such as Pro Tools®, Logic®, Nuendo® or any other AAX, RTAS®, AudioUnit™, or VST® compatible host. Designed to bring unsurpassed sonic quality to all of your audio applications, the PCM Total Bundle will take center stage in your DAW. The PCM Total Bundle includes the 7 unique reverb plug-ins from the award-winning PCM Native Reverb Plug-in Bundle and 7 unique effects plug-ins from the recently-released PCM Native Effects Plug-in Bundle. For more information about these plug-ins, click on the images below.